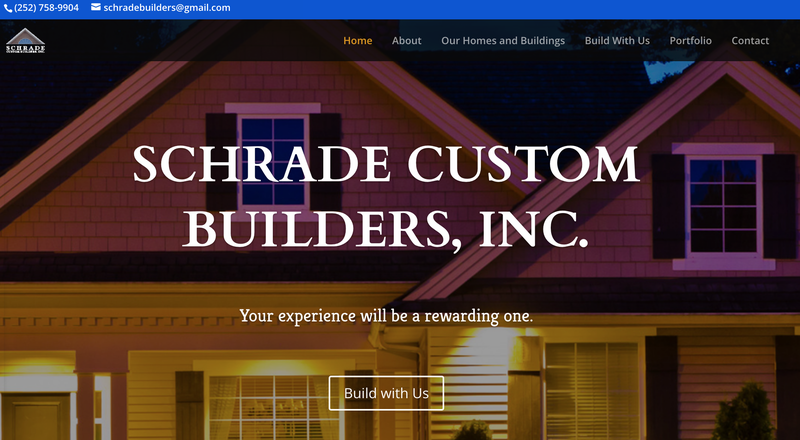 Web Design, WordPress, SEO, Writing, and Graphic Design for Schrade Custom Builders, Inc.
Schrade Custom Builders is a leading builder of both commercial and residential spaces. They have designed and built everything from restaurants to multi-family homes. They wanted their new website to take advantage of modern design standards and aesthetics. They also wanted it to be mobile responsive and to differentiate their business from other builders. Finally, they wanted it to accurately represent the many ways they help people bring their building projects to life. Schrade Custom Builders is a building company you can trust. We’ve helped them by building a website that projects an image that matches their reputation.